The “NBA 2K” series has undoubtedly dominated the basketball video game landscape for several years now, and staked its claim as one of the definitive sports gaming series, period. Now when you mention “Madden” and “FIFA,” you have to mention 2K too. Developer Visual Concepts hit the jackpot at the turn of the decade with “NBA 2K11,” signing Michael Jordan as cover star alongside a host of Jordan-featured content and the burgeoning MyPlayer career mode. These features, of course, complemented the startlingly realistic gameplay, which has only improved year after year as layers of polish are added. “NBA 2K18,” which released officially last week, is an important title for both Visual Concepts and publisher 2K Games. The competing series, “NBA Live,” is back from the dead with their best reviewed title since “NBA Live 10,” which came eight long years ago. “NBA Live 18” isn’t receiving sweeping praise, but its aggregated Metacritic rating is over 70 percent and the series gained some loyal fans by including the WNBA as a playable option this year. I played “NBA Live 18” for a couple of hours as a part of an early-access trial and was pleasantly surprised. I purchased “NBA 2K18” a few days later and I’ve been mostly disappointed, but not for the reasons you may think. The on-court action in “2K18” remains the most stunning virtual sports simulation this side of “MLB The Show.” Players move and play just like they do in real life. Physics feel just as weighty as they should. Everything just works right, whether you want to rain 3-pointers and rip off dunks like “NBA Jam,” or you want to simulate a real NBA game. The actual basketball is not the problem, although there are some kinks. Metaphorically speaking, “2K18” is LeBron James and these kinks are his 3-point shot – they’re not always a real issue. The issue is the game’s truly disgusting reliance on microtransactions, which are one of gaming’s most concerning trends. Microtransactions are like extra lives in “Candy Crush.” They allow games to offer in-game benefits for real money. In the 2K series, microtransactions take the form of Virtual Currency, or VC. The currency was introduced with “NBA 2K13” and has slowly grown to infect more and more of the overall package. It can be used to upgrade or customize your player, or buy card packs for the game’s facsimile of Electronic Arts’ popular Ultimate Team modes. In “2K18,” VC is a nightmare. You earn less of it and need to spend far more of it. Haircuts cost VC. Sneakers cost VC. Tattoos cost VC. After you unlock animations, you must spend VC to unlock them. Every gold coin you spend on these cosmetic changes is one less coin that you can spend on your player’s actual attributes, which begin at a measly 60 overall. The prices for those, by the way, are borderline ludicrous. So, you want to bring your player from 60 overall to, let’s say, 80, so you can viably compete in pickup games at the park. Come back after you’ve played 100 games first. That will gradually take you from G-League benchwarmer to NBA rotational player. 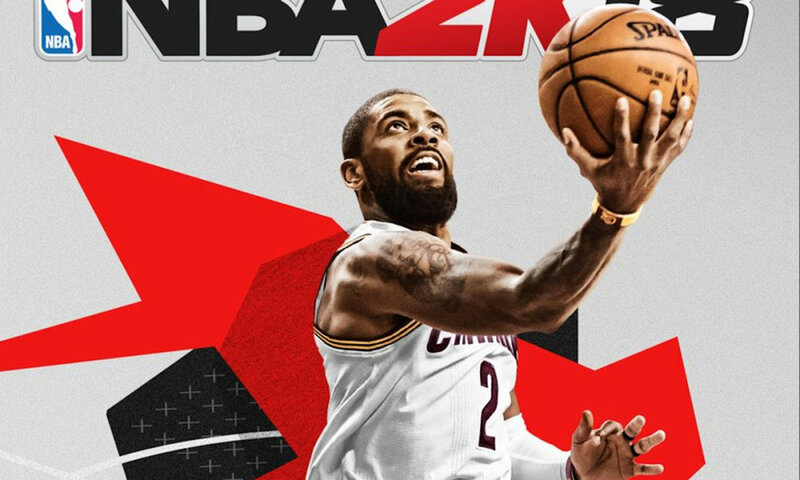 The new NBA 2K18 includes Cleveland Cavaliers player Kyrie Irving as one of its featured player for its upcoming edition. Or (and this is the gross part) you can buy the currency with money atop $60 you’ve already spent. Hand 2K about $50, and you’ll get 200,000 VC, enough to push your player into the 80s without playing a single game. Now you’re good to go. Everywhere you go in the MyCareer mode, the game prompts you to spend VC, and in turn, they prompt you to buy VC. Instead of the menu system in past games, your player is plopped into the Neighborhood, a small hub world where you physically walk into stores. Real life stores, like Foot Locker and the NBA Store, emblazoned with advertising so the game can shove its blatant commercialism into your face some more. Members of the gaming community are used to having microtransactions exist with such prevalence. They typically take the form of merely cosmetic changes to gameplay, which is accepted. When they affect gameplay and the odds of winning, they are frowned upon. Casual sports gaming fans may not be so aware. They’ve slowly been groomed to accept it, with Madden Ultimate Team and FIFA Ultimate Team growing in popularity each year. Both modes feature the option to buy packs, and that isn’t clean either; in buying random packs of cards, you don’t know exactly you’re going to get. It’s essentially gambling. “2K18” isn’t even remotely subtle. Your player’s best friend will hawk Reese’s Puffs in cutscenes like they just popped out of “The Truman Show,” before the cutscene ends and you get texts about shoe deals from skeevy agents. Accept this one and you get 20 more VC than the other deal. That’s maybe a dollar saved a week – a dollar that won’t end up in the pockets of 2K Games. Should this behavior continue, maybe “NBA Live” will leap over “NBA 2K” one day. There’s a long way to go before the gameplay levels out. But hawking microtransactions is the easiest way to anger a gaming fanbase. When the fanbase is sports fans, however, gaming companies think they can get it away with it.